Indian traditions are all-encompassing in their essence. They are without and beyond religion, yet they draw from the well-springs of ultimate truths, applicable to all religions and schools of philosophy. They reach out across many disciplines, from the arts to science and mathematics, and apply, in the ultimate, to all sentient beings. Whether a human being has a developed mind with the urge to achieve a sense of superior empowerment, or a plant is programmed by nature to grow only under suitable circumstances, or an animal instinctively learns a task to enable it to gain something for its own survival, the concept of abhyas is both essential and applicable to all. Metaphysical concepts become real only when they can be translated into simple, practical terms, and become a part of the individual’s pursuit of meaning and achievement. True Hinduism offers the most sophisticated and subtle concepts to the world. As each person or group finds relevance in its ideas, and its resonance in many aspects of their lives, transcending any identifiable aspects of specific spiritual thought, the more simple and effective are the results of the application of the concepts. Abhyas, in its most mundane form can be translated to mean practice, but analysing the roots of its meaning, ‘abhi’ is defined as a ‘transcending effort’, ‘great’ , something that is ‘above or ‘over the initial action’, and ‘aayas’ means the action or effort itself. Abhyas therefore involves repeated effort in order to transcend the initial action so as to achieve perfection. Concepts attached to life’s actions of abhyas in order to reach one’s ultimate goals, include vairagya, detachment, and sadhana, spiritual practice. The three combine to endow the word with a meaning that incorporates the corporal, worldly and the spiritual. Yoga, music, dance, the performing arts, visual arts and traditional craftsmanship, all incorporate the concept of abhyas in the learning process. In all classical traditions rooted in this Indianness, and especially those which are not for the attainment of wealth, abhyas is a life long process and not one that is regimented towards a definable end or a point of time when the practitioner graduates from being a pupil to becoming a master. A true practitioner never gives up abhyas, in fact, life itself is a never-ending abhyas. Traditional modes of expression that are built on a foundation of scripted and polished repetitiveness must ground the practitioner in such a way that it becomes an automatic rhythm of life. It is on this firm foundation alone that the artist or crafts person can refine his work further through individual creativity. Many times, particularly in western modes of thought, it is stated that the Indian discipline of excessive repetitiveness, as abhyas is superficially understood to be, denies the free flow of creativity. This may be true of societies that have transformed themselves from community based enterprises to individualism in every sphere. The sense of rootedness is either absent or deliberately eliminated in an individualistic creation, as is the society in which the creator of the work lives. The new concept of globalization in which products are made and sold without the hindrance of borders, makes it possible for a Japanese product to be made in China or an Indian product to be made in Spain. In the very Indian concept of abhyas, the rootedness gained through repetitiveness in a particular tradition is the very essence of a person’s allegiance to a particular skill or discipline. It is this that gives rise to the production of artefacts that are recognised as traditional, and carry with them centuries of abhyas with their very specific history or geographical rootedness. 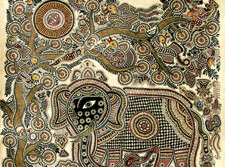 Abhyas in the fashioning of hand made artefacts or the creation of murals, floor decorations and other such forms of people’s art to suit important ritualistic or utilitarian needs is a deeply entrenched necessity for the Indian crafts person. To learn when the mind is young and fresh, and fingers are nimble, abhyas has to begin at an early age. It is far removed from negative concepts like child labour that are the creation of industrial societies and systems based on unequal and exploitative modes of production. The Indian craftsman came into being aeons before this time in man’s history. It was a time when society was integrated with a sense of service to the divine, where perfection, though achievable only by the gods, was a goal man had to seek from within. Abhyas is considered a necessary part of training and moulding a larger psyche and is instilled in the young boy or girl around the age of ten, when the child is able to grasp notions of discipline and has shed the earlier stages of restlessness. There is a gentle, firm guidance and an initiation into the fundamentals of their art. It is an inculcation that often begins with an invocation and a blessing. When Indian society was divided into categories according to professions – well before it was made hierarchical through the verticality of the caste structure – it established the father as the teacher and the child as the student. The transfer of skills was generational, yet the process of improving the skill continued for both. In some cases a master craftsman took on apprentices, shishyas, who are considered disciples, from the word discipline. It meant the discipline of the art and the disciplining of the learners which involved processes that were mental, physical, and even spiritual, to hone the art. The master was imbued with a certain sense of spirituality which demanded a special kind of respect from the student. The guru-shishya tradition in any of the arts involving abhyas meant that considerable respect and rigour was required of the student, both towards his or her work and towards the teacher or guru. Worshipping the guru in terms of touching his feet, worshipping tools and instruments, or blind and unquestioned following of the instructions of the guru, were all a mandatory part of the process of abhyas. All these were not to make slaves of the students but to instil patience, self-discipline, and reverence not only for the master but for the subject matter being learned. It centred in them a feeling of quietude and intense mental absorption that did not allow for any distractions or interruptions. The training of a body and mind under a guru was considered necessary to achieve wealth and self-improvement or self-realization. None of these intrinsic characteristics of abhyas were religion specific in nature. So it is that abhyas, as practiced by the Indian craftsman, is commonly adopted by all who are conscious that they are torch bearers of ancient traditions and must nurture them through innovation resting on solid foundations. Learning the life-long ability of gaining control over one’s art and thus over life itself makes the acceptance of abhyas inevitable and empowering. Irrespective of the religious beliefs and practices of an artisan, the processes and requirements contained in the ancient Hindu concept of abhyas apply unselfconsciously to all who believe they serve society and themselves by serving their art. 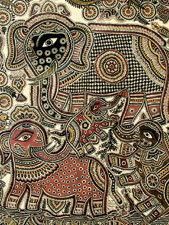 It has been necessary to delve into the philosophy behind abhyas even if has been done elsewhere for other disciplines like dance or yoga, because shilpkari, dastkari – the creation of handcrafted objects or textiles – is practiced in almost the same way by artisans of all religions, and prove that anything which has a deeply spiritual basis is by its very existence simple and applicable to all people for reasons of practicability, a natural universality, and for common aspirations shared by mankind . 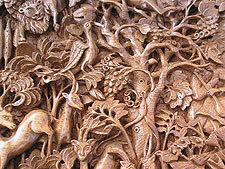 Common practices in crafts work explain the commonality of abhyas. 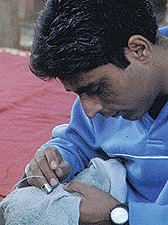 The traditional embroiderer in Kashmir evolved out of workshops set up to serve commercial interests in the 14th century. The refined tastes of Moghul nobility or the palaces and courts of Europe demanded the perfection of skills, and since commerce in most societies is in the hands of men, they dominated in the workplace. Embroidery is a craft that requires little or no equipment or infrastructure. The artist was therefore at leisure to put all his resources into the perfection of the gestures of his handwork. A recently revived form of embroidery called kani-sozni which imitates fine weaving, is practiced by not more than forty-five persons at the highest level of skill in Srinagar, Kashmir. The finest of such work produces two thousand tiny stitches to the square inch. One can imagine the kind of effort and dedication required to cover a surface of two metres by one metre from edge to edge with eighteen or more different shades of single yarn silk thread to produce a masterpiece that would most likely never be replicated. The masterpiece takes at least three years to complete. The master embroiderer works for eight hours a day. This is his practice, his production and his spirituality, as he works with the belief that it is the hand of the almighty that guides him. While his humility and self-abnegation comes from a spiritual upbringing, perfection comes only from abhyas (Sanskrit) or riyaaz (Urdu). The silence and meditative air of the workplace exactly demonstrates the quiet centred ness that allows for no noise or disturbances. As for the nature of training, Shabir Ali Beigh describes how he began working under his father’s tutelage at the age of eight, sitting by his side after school was over. All shagirds, (shishyas / students / disciples) sat on hand woven grass mats or carpeted floors sharing a large piece of cloth draped over their knees. They had to repeat the one gesture of piercing the needle with the attached thread into the cloth and bringing it up into the air again with a trajectory that moved a mere centimetre past the nose before swooping upwards and descending once more into the cloth. This had to be done continuously all day for eight months in order to ensure the smooth flow of the needle and a regular and paced speed of work. The correct angle of the curve and the swooping movement of the hand also ensured that others sitting in close proximity, working on the same piece of cloth, did not get poked accidentally in the eye. Theory is also an important part of the abhyas. The name of each stitch and motif, the range of colours that created the most aesthetically pleasing results when used together, the distance between lines, flowers, and borders that needed to be calculated before a design was worked out on tracing paper, were all imbibed through trial, error and repetition. The differences between repetition for abhyas and for commercial goals are distinctly separated. Today, this family workshop set up and run by Shabir’s father refuses orders for eight metre long shawls demanded for their excellence because, “Working on a piece for three years is alright, but for twelve years to complete something much larger, even though we are offered Rs 8 lakhs for it would kill our creative instinct”. Departing from tradition to maintain the true spirit of abhyas, Shabir’s father has encouraged the training of young girls because they are quiet and patient, attributes he believes are necessary for true success. “Boys of today only spend time talking on their mobile phones”, he says with a smile laced with disgust, the fingers of his hand moving off the half-embroidered piece on his lap to imitate a phone held to his ear. The intense concentration required to work on traditional art is another aspect of abhyas visible among rural craftspeople who paint in a specified manner as dictated by their cultural traditions. 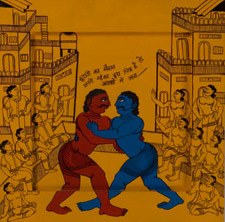 Mithila painting in Bihar’s Madhubani district, whether practiced by upper caste Brahmins or the Scheduled Castes, cover the same range of subjects in slightly different ways. Colours and techniques differ slightly according to the mode of painting. However, common to both is the very detailed repetitious quality of embellishment, whether applied to the bark of a tree, the design on a woman’s veil or the scaly pattern on the motif of a fish. 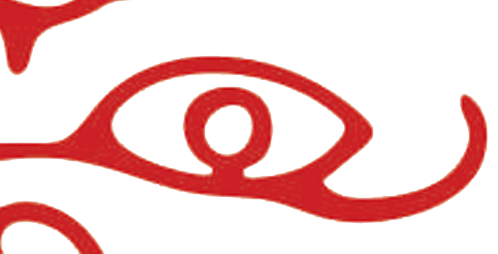 When their subject matter involves religious epics or local legends, environmental statements or the depiction of their own view of the changing world around them, the stylization of the figures, even to the exact shape of an eye, are learned from the process of abhyas. Hundreds of artists may paint the same story, or an innovative artist will paint a cityscape far removed from her usual surroundings, yet their notion of skill is in the refinement of the lines, the exquisite and painstaking repetition of the same stroke to cover large areas in order to build up texture and resonance. This is what defines an artist of excellence. What a lesser artist will try to finish rapidly, or a modern fabricator or imitator will reproduce more easily through tracery, the Mithila artist will create through patience, quiet repetition and dedication. These attributes of abhyas are considered as necessary for the development of a finer human being, as they are to create the finest painting. The end purpose of the painting can be a celebration of a marriage as a community enterprise, or a commissioned piece for a rich connoisseur of art in Mumbai, but the path to either goal had to be defined by the ancient rules of abhyas. The ‘particular ness’ of difference schools of traditional painting in India involve not only the stylization of figures and subjects but the lengthy preparation of the canvas and the palette of colours. Thanjavur paintings of Tamil Nadu are elaborate combinations of art and craftsmanship. An examination of the patachitra classical art styles of Orissa demonstrate the finesse required by the family that prepares the material as well as the actual weilder of the pen or brush. All these elaborate procedures are not possible, nor is an artist worthy of society’s complete respect, until he masters the knowledge of each stage of the procedure, and absorbs within his very being the time and practice required to reach a particular level of excellence. The artist learns to prepare red as a background color and the use of a standard palette of colors, typically including red, blue, yellow, green, black, white, and pink. The colours must be prepared from grinding particular mineral and stone colours. Colours have specified uses and characters are depicted according to them. For instance, blue is for Krishna, white for Balarama, green for Rama and yellow for Radha’s body. They have a particular style of drawing faces with extended sharp noses and chins jutting out slightly. Eyes are always elongated and heavy lidded. Faces are drawn in profile even if the body is in a frontal position. Fine detailing of patterns on the clothing of characters pays homage to the extremely rich hand woven textile tradition of Orissa. All paintings are given borders in a leaf-and-scroll motif and are narrower in width than the outer border, which often uses a floral motif. The background is required to be filled with stylized forms of flora. Figures do not usually overlap; that is, one character in a painting will not be shown in front of another. 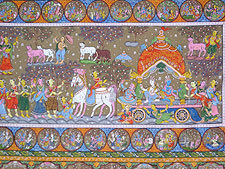 The rather elaborate rules of patachitra painting require training and painstaking, repetitive work to achieve perfection. After this has been done, the artist can allow himself the luxury to innovate on subject matter while remaining true to his proud heritage, ingrained through abhyas. An interesting and significant characteristic in the stylized processes of painting in almost all traditional styles is the painting of the eye only when all other parts of the painting are completed. Abhyas teaches the artist that only when the eye is painted does the spirit of the god enter the painting. It cannot enter one that is incomplete in any area. This factor demonstrates the spirit of sadhana, spiritual service, which is undertaken by the artisan in his or her work. Nothing of the work is for the self. The pursuit of excellence in the work is itself a form of worship of the ultimate being to whom the work is dedicated, and who comes to reside in it once the eye is painted. 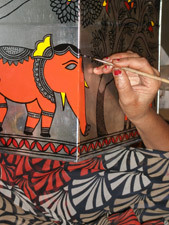 Rhythm is an interesting component of abhyas in crafts. Most of the sounds made in the process of creating an object are measured, staccato ones which, if made by mature, well-trained artisans, have very steady rhythms that are almost musical. 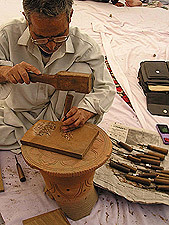 An exercise was conducted in recording the sounds of weavers moving the shuttle on a bamboo loom, metal workers tapping designs on to a copper sheet, a master wood carver fashioning an elaborately patterned wooden block for the hand block printer, and a group of stone cutters hammering the surface of soft soap stone, chiseling away the material till a finely wrought lattice design emerged. The hands were so practiced, so steady and sure of themselves, that the sounds they made at work were put to music. The rhythmic beats offered a gently varying backdrop to the lyrical sounds of a flute added by an inspired composer. The music was christened Timeless Crafts, Infinite Rhythms, and contain within the composition the voices of craftsmen instructing each other about techniques and the correct timing of the movements they were making while creating an object or a piece of fabric. This is abhyas at its all-encompassing best. There are many discussions about the comparative values of traditional and ‘modern’ art. In these so-called ‘modern’ times, which can mainly be defined by the giving of a monetary value to everything in life, time is always translated into money. The philosophy and practice of abhyas contains within it the wisdom and skill of hundreds of generations. The ultimate product of such a timeless heritage must surely be calculated from this perspective.